Detainees at the facilities, operated by The GEO Group, a top government contractor for privately run prisons and detention centers, told the Homeland Security Department inspector general that the “nooses” had several purposes, including suicide. Other explanations included unraveling the sheets for privacy or clotheslines. “I’ve seen a few attempted suicides using the braided sheets by the vents and then the guards laugh at them and call them ‘suicide failures’ once they are back from medical,” one detainee told the investigators. The IG made the discovery during an unannounced inspection of the Adelanto ICE Processing Center in Adelanto, Calif. The IG said the presence of the nooses violates ICE’s standards, but contract guards said it was a recurring, daily issue and not a high priority. “ICE must prioritize addressing the issue of sheets hanging in detainee cells, as they represent the potential to assist suicide acts,” the IG said, noting a detainee died of a suicide involving bed sheets at the Adelanto facility last year. The facility saw seven additional suicide attempts between December 2016 and October 2017, according to the report, at least two of which ICE identified as involving bedsheets. “ICE’s lack of response to address this matter at the Adelanto Center shows a disregard for detainee health and safety,” the auditors said. The IG also found the facility was inappropriately segregating some detainees from the rest of the population. All 14 of the inmates separated for discipline were removed before any proof of wrongdoing, violating agency rules. Those detainees were cut off from family visits despite such a punishment not appearing in the facility’s handbook. One wheelchair-bound detainee was improperly held in disciplinary segregation for nine days without adequate medical care, and was not able to leave his wheelchair at any point during the nine days. The GEO Group’s guards also flouted ICE rules by placing all detainees segregated for discipline in handcuffs and shackles whenever they were outside of their cells. “Physically restraining all disciplinary segregation detainees whenever they are outside their cells does not comport with ICE standards and gives the appearance of criminal, rather than civil, custody,” the IG said. The investigators emphasized that detainees in civil custody should be provided with only non-punitive conditions. Detainees at the facility did not have access to timely medical care, the IG found. Inmates were forced, in some cases, to wait for years for basic dental care, resulting in “tooth loss and unnecessary extractions.” Three deaths at Adelanto since fiscal 2015 were attributable to “medical care deficiencies related to providing necessary and adequate care in a timely manner,” the IG said. “ICE must take these continuing violations seriously and address them immediately,” the auditors warned. ICE agreed to conduct a full review of the Adelanto facility and the GEO Group’s management of it by Jan. 31, 2019. 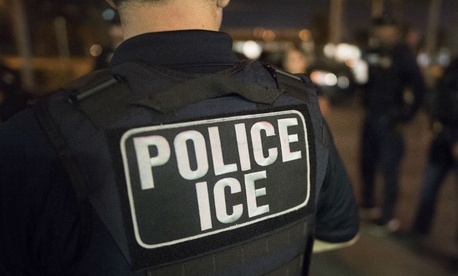 “The safety, rights, and health of detainees in ICE's care are paramount,” Nathalie Asher, executive associate director for ICE's Enforcement and Removal Operations, wrote in a response letter to the IG. “ICE is concerned by the OIG's findings. She added, however, that some of the findings lack context, such as the need to sometimes place detainees in disciplinary segregation while their cases are under review. The DHS inspector general also released findings on Tuesday of facilities operated by Customs and Border Protection for unaccompanied alien children and found them to be in compliance with agency standards. In another report, the IG found DHS was unprepared to implement President Trump’s “zero-tolerance” policy in which all individuals and families detained for violating immigration were held in government custody. DHS held children separated from their parents for long periods of time in facilities meant only for short term housing, struggled to keep track of separated families due to information technology shortfalls and failed to communicate to parents exactly what would be happening to their children. The findings match contemporaneous reports from attorneys, lawmakers and activist groups on the ground at the time.